Due to the barns set up, clear down (and farming) we are normally unable to hold mid week or out of season events. However if you are interested in a mid week or out of season event, then tipi hire may be an option, using our fields. Please take a look at Tipi Unique’s website. We will be happy to discuss any ideas you have regrading tipis or marquees. 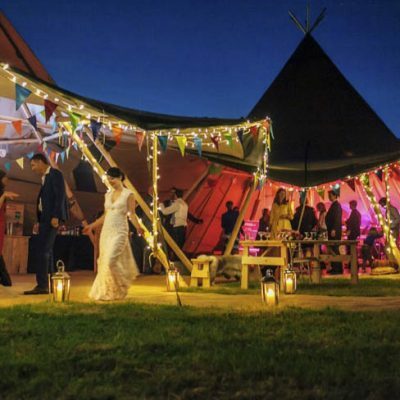 “Tipi Unique specialises in providing giant tipi hire for your upcoming special occasions e.g. weddings, parties, corporate, charity events plus more. Complete your look with our furnishings for hire from rustic seating options, dance floor & entertainment tech to the traditional touches such as our warming fire-pits & sumptuous reindeer skins. With our tipis, you can be sure your celebration will be magical, unforgettable and will leave lasting impressions for all.